From the synth boogie of Nigeria's Dizzy K to the break laden funk of India's Ananda Shankar, it's all in a days work when deep in the labs of Soundboutique. When I first came across this LP, I had to pick my jaw up off the carpet of the record convention floor. Not that it's thaaaat rare, but for me at the time.. it might have been..well, a little 'grail-ish' let's say. It was in the box of a mostly rock and psych oriented seller. And as a result, he didn't really know why cats like myself sought after this particular LP. After engaging him in a lengthy conversation topped off with a little wheelin' and dealin' I took it off his hands. Nothing like a little charitable verbatim to grease the gears from one collector to another. It was necessary to wiggle a bit as his pricing was a bit high even though he blindly 'knew' about the record. It was priced high just because he could tell it was worth something. Not really knowing what exactly it was worth. Of course at the time, it was emerging in popularity on the rare groove circuit thus, climbing in price. I looked at it...yup, EMI India, yup, yup gatefold... that was it. I tried to keep it well concealed from other perspective buyers. We reached a livable price and now in the collection it sits. 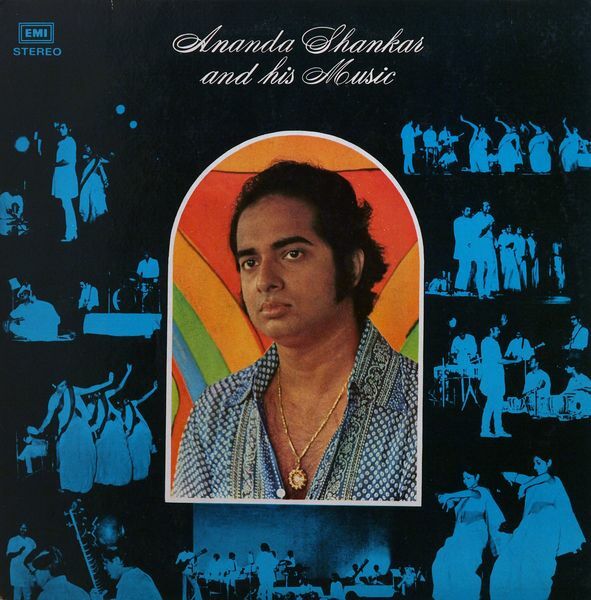 Ananda has a staple of India funk and sitar bangers. His covers of 'Jumping Jack Flash' and 'Light My Fire' show his interest in The Doors, The Rolling Stones and other mainstream rock and roll in general. And, it was rumored he hung and played with Jimi Hendrix while in L.A. in the sixties. Ananda blended psych and sitar soul and did probably the best in his time at converging rock and eastern sounds. Those familiar with Bollywood know the soundtrack sound and 'Streets Of Calcutta' is spot on. This is probably the best tune on the album, but it is an excellent LP and Ananda's best work. I'd say get the album if you can, its an enjoyable listen for sure. Ananda became entirely less traditional than other sitar artists and chased a broader appeal for his music. He branched out with western 'rock' guitar and more 'pop' material. This LP, noted as his masterpiece, was recorded in 1975 marking his return to India from Los Angeles. He later gained exposure in London DJ circuits and enjoyed a considerable re-issue craze. His tunes have been featured on the Blue Note Break Beat comps and this LP has been re-released in a few formats. Hopefully making him a little more of a well known name and a lil' pocket change to boot. Before his death in 1999, he also enjoyed continued success blending sitar and eastern sounds with breakbeat and hip hop.